We live in a desperate world and in a desperate time. Peace in our lifetime seems elusive in a world full of wars, strife, and murders. There is never a day that passes by where we do not hear news of sufferings around the world. According to the world, peace means no more wars, killing or destruction of human life, wildlife and the environment.Many StressFreeFast.com” rel=”StressFreeFast.com”>stressed out worldly Christians are now involved in yoga,meditation,fortune telling, transcendental and many other eastern mysticism practices in their quest to find peace. Classes for such activities are mushrooming all over the big cities across Asia,America and Europe. Tests conducted on patients given placebo by their doctors on their supposedly health benefits do report positive results from these patients later.It do shows the effects of perception on helping to improve one’s state of mind. One’s improved state of mind do help to improve one’s health. So if we think that practicing yoga or meditation helps us to achieve inner peace, its likely to be so for our mind are already positively accepting that conclusion. If we think that praying will not provide the same effect, it won.t, for our minds are already negative to it. So while the yoga and meditation classes may perhaps bring the so called inner peace to us, we must seriously consider their destructive effects to our own salvation. They seem harmless at first but many of these activities requires meditation. Unless the yoga or meditation classes teaches us to meditate specifically on something, that something has to be Jesus Christ and not something else, if its nothing, then that nothing will be filled by demons for demons seek an empty host. These activities will open the door for demons to enter into us and lead us to a curse which will ultimately destroy our faith in God and rob us of the true peace we would have otherwise enjoyed with God. World Peace is not dependent on the United Nations or any One World Unity or whatever peace movements touted by many leaders today. Human government never will be able to solve the world’s problems. There never will be true peace until the Prince of Peace establishes His Millennial Kingdom. Peace on earth will only come when every man is transformed by the power of God through the Sons of Peace. It is when “the mountain of the house of the Lord shall be established in the top of the mountains” that the prophetic mysteries spoken by the prophet shall unfold before our wondering eyes and He shall judge among the nations, and shall rebuke many people: and they (the nations) shall beat their swords into plowshares, and their spears into pruning hooks: nation shall not lift up sword against nation, neither shall they learn war anymore” (Isa. 2:2-4). Real peace is not temporary happiness that depends upon good things happening in our lives. Real peace is not the absence of conflicts or problems in our lives ! The peace of God is unaffected by any external conditions. If your peace crumbles in the face of troubles, what you have is not peace – it is merely a sense of comfort or security that you may have in the hope that nothing changed or disturb the status quo of your peace. When it comes to wholesome games, most of what people find at big box retailers and toy stores are largely inappropriate. Many board games and video games these days are riddled with violent images and are mostly built around television characters and property. For the parents who truly value family time, there’s www.TheChristianFamilyShop.com. “This business was started to honor God,” said Carol Terwilliger. Terwilliger is the founder of TheChristianFamilyShop.com. She launched the website in June 2008 with the notion of spreading the Gospel and togetherness through Christian games. Since its debut a year ago, the website has added several new products. One of its most recent additions is the hit computer game “Praise Guitar,” a music-based computer game with a guitar controller that uses Christian songs instead of secular music. Another addition that coincides with The Christian Family Shop’s one year anniversary is the introduction of its educational blog, www.TheChristianFamilyBlog.com. While many game and toy stores exist to simply sell and uses superficial elements to appeal to children, TheChristianFamilyShop.com combines the message of God with the concept of bringing families together in order to get back to the basics of the important parts of life. TheChristianFamilyShop.com is a part of CMT Marketing Inc, which is owned and operated by Carol Terwilliger. 52 Weeks – Week 3 – World Religion Day (17th January 2010). World Religion Day was instituted by the Baha’i community in 1950 to help foster interfaith understanding and harmony. Now Hertford is a mainly Christian (and its varying entities) so there is not a massively diverse religious scene. 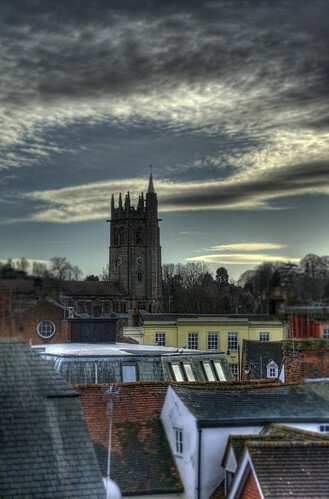 Pictured is All Saints Church taken from a high point over the rooftops of Hertford. UNANSWERED PRAYERS. 9 tonight, Lifetime. LOS ANGELES – Actor Eric Close could easily have slipped from the straight-and-narrow. But life took him in the other direction. In fact, the star of “Now and Again” and “Without a Trace” remembers that he wanted to be a director but, again, fate interrupted his best-laid plans. But the former prime minister said it was true that ‘people commit horrific acts of evil in the name of religion’. The Internet: Where religions come to die -Kinda speaks for itself. Clips taken from Godzilla of course 🙂 ‘the end of the world cult’ Fascinating documentary about some guy who claimed to be jesus (one of many) and predicted the end of the world a couple of times. The interesting conclusion (other than the world not ending of course) was that he was arrested for his sexual abuse of minors. Seeing the ‘son of god’ go from righteous ‘they are persecuting me like they did with jesus’ to a man institutionalized in prison, on hunger strike is a fascinating insight into the human mind and the messiah complex. www.youtube.com I would also recommend reading the wiki article on him…. it’s captivating stuff! en.wikipedia.org Jesus camp of course (I’ll leave you to find that!) and Mr Deity (who does some wonderfully funny satire on Christianity). www.youtube.com Turns out he’s an ex mormon (damn the typo is so tempting), and has a v. interesting story to tell. www.youtube.com RDF.net Clip from Richard Dawkins vs the Muslim from ‘The Big Debate’ www.youtube.com Clip also taken from the simpsons satire of cults ‘The Joy of Sect’. Clip of Bill Maher also taken from religulous. Premier Christian web hosting company Web Hosting Christian.com – http://www.webhostingchristian.com) — has introduced a range of new promotional perks that will revolutionize Christian web hosting services. Web Hosting Christian specializes in providing a variety of Christian web hosting services. From Church web hosting to web hosting for Christian organizations, companies and individuals, Web Hosting Christian.com offers a wide range of web hosting plans. Recently, Web Hosting Christian released news that it is giving its websites professional marketing and promotion for their websites — which would normally cost thousands — for free. The only catch is that to get these free services, the site needs to be hosted by Web Hosting Christian. But since Web Hosting Christian is a devoutly religious company that gives a portion of its proceeds back to Christian charities, this is an easy move to make for most Christian website owners. For more information on switching to Web Hosting Christian, visit their website at http://www.webhostingchristian.com. The free website promotion provided by Web Hosting Christian begins with the Global Christians Network. This massive network of religious websites from around the world is an amazing portal where believers unite to surf the Internet. When you sign up for a hosting plan with Web Hosting Christian, your website automatically becomes a lifetime member of this network. Furthermore, your site is showcased in the Network’s homepage! You can check out the Global Christians Network by visiting their website: http://www.globalchristiansnetwork.com. According to WebHostingChristian.com, the Global Christian Network offers a way for a website, which might normally be overlooked in the enormity of cyberspace, to reach a rather large audience: the entire world. Research shows that the Global Christians Network builds with each site that joins it. Joining the Network is actually free; website owners join automatically when they sign up for one of Web Hosting Christian’s inexpensive hosting plans. Additionally, Web Hosting Christian submits all of their hosted websites to the largest search engines every month, helping it appear in the top search results of Yahoo, Google, AOL and many more. Web Hosting Christian also encourages link-swapping among its clients. Several times a year they offer their patrons the chance to have a link to their websites placed on the most popular sites in the Global Christians Network. So, in summary, as more and more websites sign up on the Global Christians Network, the more popular each individual website will become. To learn more about the Global Christians Network, and about the best Christian web hosting on the Internet, visit Web Hosting Christian’s official website: http://www.webhostingchristian.com. GraceWorks Interactive is pleased to announce the release of Spanish Language Version of The Interactive Parables, Las Parábolas Interactivas. This is the first Spanish-language release for the company and is set to challenge and expand the existing market by appealing to the rapidly growing number of spanish-speaking Christians in the United States and around the world. The English language version is currently available in religious bookstores nationwide and both versions can be purchased online at:. www.GraceWorksInteractive.com or www.ChristianGamesNOW.com. Interactive Parables has been Family Approved by The Dove Foundation and also received the Family Friendly Gaming seal of approval. The Spanish language version was made possible through the translations efforts of volunteer translators Alejandro Garcia-Flores, Alfonso M. Camacho Ortiz, and Jennifer Perry. “Too many companies, Christian or not, neglect the Spanish-speaking market. This often leads to fewer sales and a diminished experience for players,” says translator, Alfonso M. Camacho. Las Parábolas Interactivas joins a growing group of religious software for the Spanish-speaking community. Other notable releases include the Bible Encyclopedia’s iLumina: Vive la Biblia, and the Beginners Bible series, which is also available in English and Spanish. Las Parábolas Interactivas marks the first time that an American game localized for that market. Las Parábolas Interactivas uses the original lessons crafted and guided by W. Gregg Strawn, a minister in Corvallis, Oregon, for 25 years. Given Gregg’s experience, the Bible content is rock solid. GraceWorks Interactive has also partnered with Jeff and Natasha Spicer to do the Russian Translation, which will be released within a year. Their next lesson set will focus on one of the gospels and will ship initially in English in 2007. Las Parábolas Interactivas, produced and published by GraceWorks Interactive, is priced at $ 14.95. The game will work on any Windows-enabled (98 and later) personal computers with a basic 3-D video card that supports DirectX version 8 or later. It will be available at many Christian retail stores across the U.S. as well as from www.GraceWorksInteractive.com at www.ChristianGamesNOW.com web sites. GraceWorks Interactive is involved in the development and distribution of Christian Games. We are committed to growing the community of Christian Game Developers as God directs and blesses. 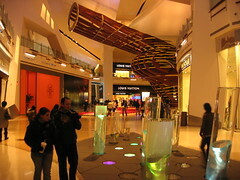 For more informations visit www.GraceWorksInteractive.com. W. Gregg Strawn has been a minister for over 25 years serving both youth and congregations. He is the author of the main lessons found in Interactive Parables.